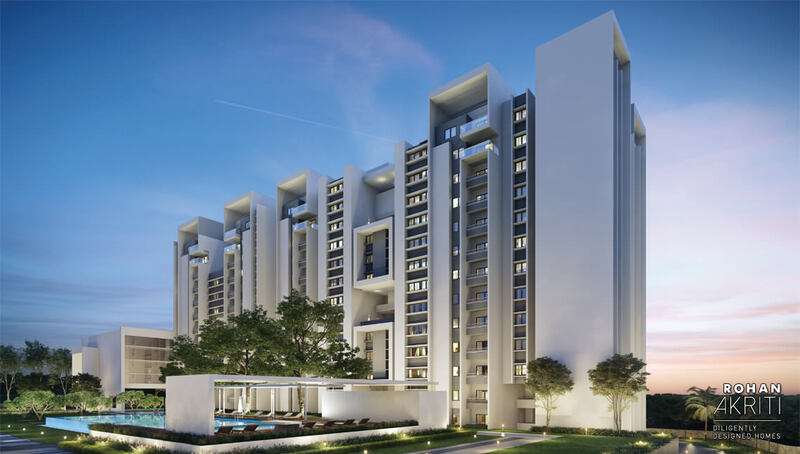 Rohan Akriti is an elegantly composed residential community conceptualised to deliver impeccable homes styled with flawless designs for admirable livelihood. The premise is hardly a kilometre away from Kanakapura Main Road and is in close proximity to the NICE Ring Road which routes towards Electronics city and the NICE-Bangalore Mysore Expressway. The project offers earnestly drafted 1, 1.5, 2, 2.5 and 3 Bedroom luxury apartments loaded with eminent features and facilities. Do you aspire for a home that relentlessly makes space for larger-than-life experience with earnestly designed abodes? Then, Rohan Akriti is the right choice for you, offering apartments of your taste, style and expectation. The project is located in palatial surrounds of Subramanyapura, off Kanakapura Main Road, Bangalore-South. The premise features 1, 1.5, 2, 2.5, and 3 Bedroom apartments spread over high rise towers of Ground plus 13 floors configurations. Phase 1 of the project would be ready for possession by December 2020. At Rohan Akriti, the apartments are skilfully designed to make optimal space for all your needs. The outline emphasises on good flow of fresh air and daylight, and abundantly makes room for robust living. The effective utilization of available area assuredly gives no room for unwanted space or senseless designs. The architectural methodology maintains 1:1 ratio of height to distance between the buildings and also incorporates double-height terraces thereby creating Venturi effect for improved wind flow. The residential blocks are surrounded by panoramic green outdoors which includes flowerbeds, water floats, gardens and tree-linings. The amenities are planned attentively for residents of all age group to relish on. The kids play area, the joggers’ track, the garden area, swimming pool, sports corners, club house and other recreational amenities are cleverly shaped to indulge each valuable member of the family. Rohan Akriti has closely worked with its Architects and Engineers to create a residential whiz which is truly unique in its style and approaches towards outputting a modern home without losing the authentic perception. The project offers voluminous social, recreational and sports amenities to enhance the lifestyle of its occupants. The facilities provided includes clubhouse, swimming pool for adults and kids, children’s play zone, crèche, library, indoor-outdoor sports amenities like cricket pitch, basketball poles, badminton, billiards, cards’ room, multi-purpose community hall, gymnasium, round the clock security monitoring, jogging/walking tracks, senior citizen zone, green courtyards, in-house waste management systems and well organised parking facilities. Located in lush green suburbs of Kanakapura of South Bangalore , this project is an ideal option for residential investments. Once a green boscage, away from the city’s jumble, Kanakapura locality has now emerged into a neat housing pivot to give a peaceful, all-embracing stay to its inhabitants. The area includes all basic social amenities within its close proximity to give a comfortable living. Presence of quality educational centres, health care units, shopping / entertainment forums, Banks, temples within reachable adjacency makes the life easier for all its natives. Be a part of Rohan Akriti and adore the warmth of living in an exorbitant home ,made just for you. Rohan Akriti is located at Jayanagar Housing Society Layout of Subramanyapura, just a km off Kanakapura Road, Bangalore-south. The premise is rightly placed in close proximity to the NICE Ring Road leading to IT hubs of Electronics city and the NICE Bangalore Mysore Expressway. The neighbourhood accommodates well-laid physical infrastructure with good and wide roads. The social frame-work in the area includes Schools, colleges, malls, hospitals, Banks, ATMs, supermarkets, grocery marts, restaurants etc in its close vicinity. The Art of Living centre and the much anticipated Krishna Leela Park by ISCKON are at short drive distances to this establishment. 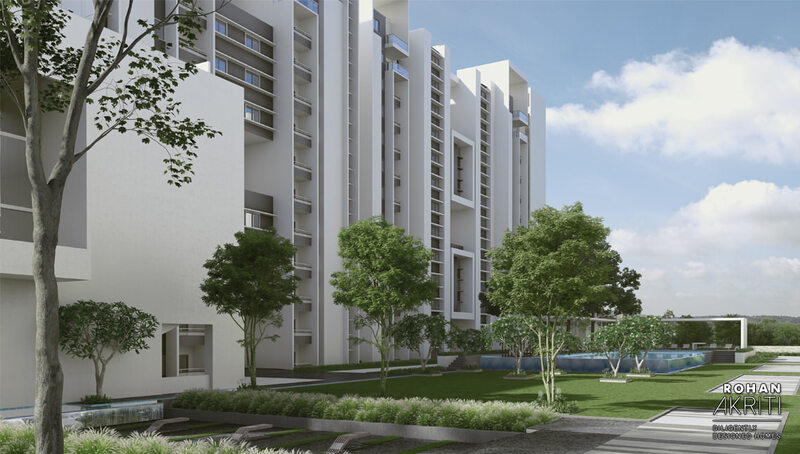 Rohan Akriti is located in profuse surrounds off Kanakapura Road, Bangalore- South. The project is just a Kilometre away from the Kanakapura Main road and is in near adjacency to NICE Ring Road which byways towards Electronics city and the NICE Bangalore Mysore Expressway. This area is known for its green, pollution free environs and is best suited for residential purposes. With the endowment of good social and civic infrastructure, the commercial stratum is also taking a steady leap in this zone. The area shelters numerous schools, colleges, hospitals, banks, shopping malls, entertainment hubs and restaurants. Inter-reliantly acclaimed tourist attractions such as Art of Living centre, the upcoming Krishna Leela Park by ISCKON and the Turahalli forest are at short drive distances. 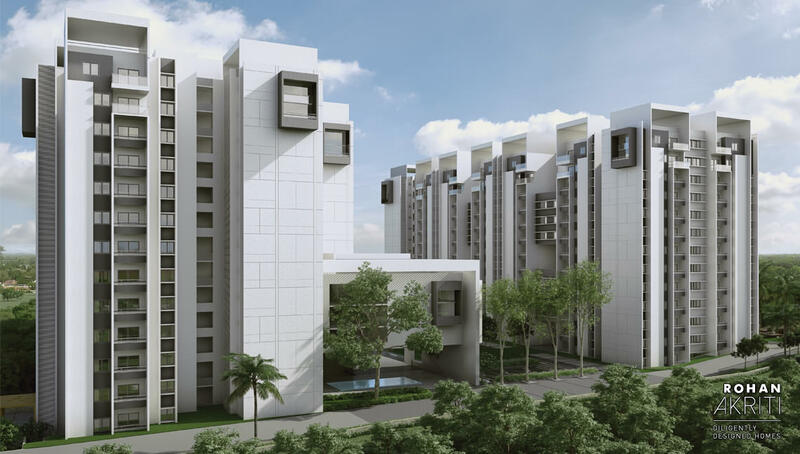 Subramanyapura is quickly emerging as a prime locality in the city of Bangalore. This area is located on the Bangalore-Coimbatore National Highway (NH 209). The region has become quite active in the infrastructure radar due to various major developments which include establishment of NICE (Bangalore-Mysore Infrastructure Corridor) Road that has enhanced connectivity with Electronics City, Bannerghatta Road and Mysore Road. The locality is superbly linked with the Metro Station, Shopping Malls and various other basic establishments. Bangalore Metro Phase I till Puttenahalli is another major development of this location. The Peripheral Ring Road connects all the major highways - Mysore, Tumkur, Hosur and Old Madras Road ensuring a hassle free commuting experience for dwellers. Recent infrastructural developments are suggesting a path of high growth for the area which is attracting a lot of residential projects in the city. The peaceful environment and natural beauty of this place leaves one enthralled. Shimmering blue waters in the famous lakes of Thalaghattapura, Kaggalipura and Harohalli add to the charm and beauty of this locale. Subramanyapura is making its mark as a coveted hub for cultural, educational and spiritual development. Art of Living Ashram is a famous landmark for this location which adds to the spiritual pursuit of the inhabitants. Several International Schools, Colleges, Hospitals, Banks, ATMs and other basic establishments have made this place even more attractive for dwellers. Disclaimer: This website is in the process of being updated. By accessing this website, the viewer confirms that the information including brochures and marketing collaterals on this website are solely for informational purposes only and the viewer has not relied on this information for making any booking/purchase in any project of the Company. Nothing on this website, constitutes advertising, marketing, booking, selling or an offer for sale, or invitation to purchase a unit in any project by the Company. The Company is not liable for any consequence of any action taken by the viewer relying on such material/ information on this website. This website belongs to official Channel partner of Rohan Builder.